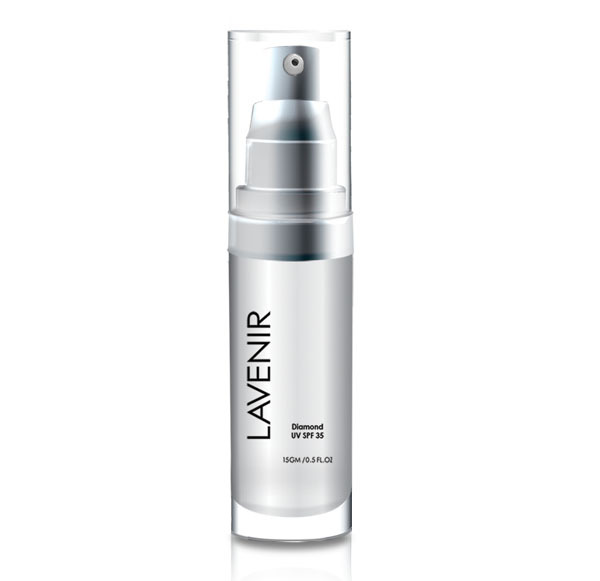 Diamond UV SPF 35 formulation to provide a total solution to solve your anti-aging problems. 5-in-1 benefits: UV Protection+Brightening+Hydration+Firming & Lifting+Oil Control. Use daily after moisturizer. Apply evenly to face and neck. Aqua, Sodium Hyaluronate, Dicaprylyl Carbonate, Methylene Bis-Benzotriazolyl Tetramethybutyphenol, Orbingnya Oleifera Seed Oil Titanium Dioxide, Glycerin, Diethylamino Hydroxybenzoyl Hexyl Benzoate, Anyhemis Nobilis Flower Extract, Aloe Bardensis Leaf Extract, Panthenol, Palmaria Palmata Extract, Isomalt, Ethylhexyl Methoxycinnamate, Ceteareth-25, C9-15Alkyl Phosphate, Glyceryl Stearate, Sorbitan Oleate, Stearic Acid, Acacia Senegal Gum, Phenoxyethanol, Malus Domestica Fruit Cell Culture Extract, Helianthus annus (Sunflower) Sprout Extract, Phospholipids, Xanthan Gum, Mica, Iron Oxides, Frangrance, Tacopherol, Argania Spinosa Sprout Cell Extract, Vitis Vinifera (Grape) Fruit Cell Extract, Ethylhexylglycerin, Sodium Benzoate, Crocus Chrysanthus Bulb Extract, Bismuth Oxychloride.